This entry was posted in Emerald Ash Borer, Horticulture, insects and tagged ash trees, Dutch Elm Disease, Emerald ash borer, Insect, New Hampshire, Ohio by Annie. Bookmark the permalink. In life the only constant is change, and most of the time, sad. No elms, next no ash. Perhaps some Chinese hybrid? We certainly have seen some gorgeous Chinese hybrids but these kids of mine are all about nature and the natural order. In order to feed the birds, one must feed the bugs first… and to do that we need good native trees. I just removed all my lilacs (yikes!) that are like plastic plants to insects and birds, according to Doug Tallamy, Chair of Entomology and Wildlife Ecology at the University of Delaware. With our smaller property now, every plant must be carefully considered for impact. So sad to see all these big trees go! 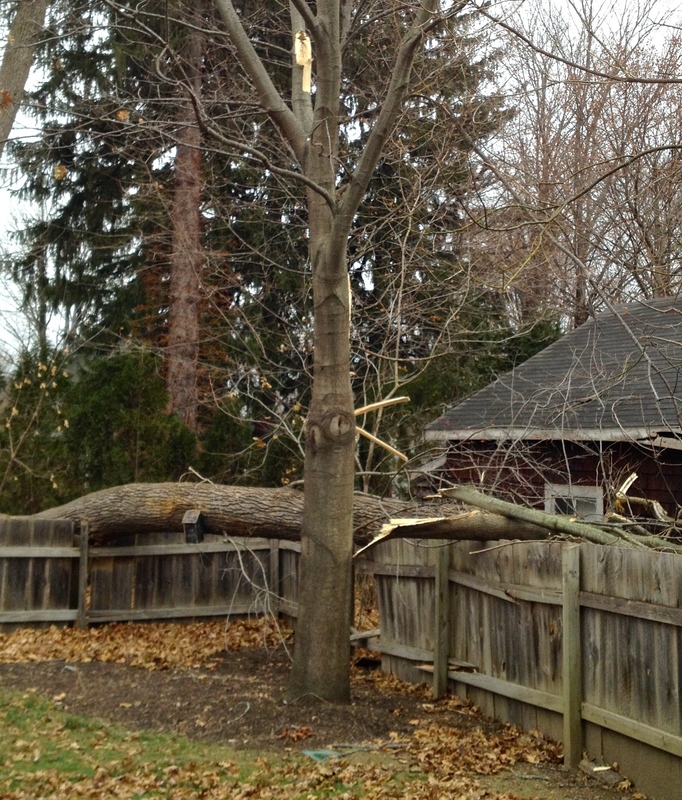 The good news about the Ohio property is the trees will be replaced more than one for one. He is not a lawn-dotted-with-trees type of landowner. I’m voting for some native oak trees and perhaps some red maples. It is unlikely to be Emerald Ash Borer in Portsmouth. So far it has only been found around Concord. People should start to think about their Ash now, and start treating when they are found within about 20 Miles. For protection a soil or trunk application will be adequate. Though this is only about 70-80% effective it is good enough until the trees actually get the borer. The soil or trunk application is not detrimental to the tree and is relatively cheap. Once the borer is in the tree only Emamectin Benzoate injected into the tree will give good control. This has been shown to give close to 100% control for two years. It is however expensive and drilling holes in trees always damages them a little, and can be a source for infections. So I always recommend using the bark soil applications as long as possible. Thank you for the information. I did read that they have only been found only in Concord. I’m on the alert since my home is 30 miles away. Good to know that Emamectin Benzoate is the recommended chemical treatment for bark soil application. Folks can learn more about the insect from UNH cooperative extension. Oops Sorry for the confusion. Emamectin Benzoate is only for the injection treatment once the tree is infected. Imidacloprid (merit) is for the soil injection/bark treatment. Emamectin Benzoate is not water soluble enough to be used as soil injection or bark treatment. 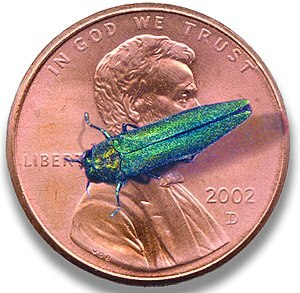 I got an E-mail yesterday saying that Emerald Ash Borer has been found in North Andover MA. Oh wow. That is just about 30 miles south of my home. I added that updated information to my blog with a link to yours. I thought I would pass this along. It’s about woodpeckers learning to eat Emerald Ash Borer. A little hope, but it is better than nothing. Oh It did let the address go through as a link. You might want to re-think that and check them first so you don’t let people link to scams or other bad stuff. The link works great. Good news. I had read about the woodpeckers as a sign that the insects were present.